When you visit the theatre, you’re unsure what to expect. Sometimes it’s a Broadway musical, sometimes it’s a Shakespearean play. In this case, it’s a haunted tale about a suicidal character who is taken on a journey. This is how the story of Black Knight Sword begins. The title marks the second collaboration between Grashopper Manufacture of No More Heroes and Shadows of the Damned fame with Hungarian Developer Digital Reality. Sine Mora was the first collaboration and it got a lot of high praise for its unusual story and unique take on the classic shmup genre. Black Knight Sword is on that same page. It feels like an old-school throwback to action games like Strider or the original linear Castlevania. Except the art style is what really drives the game forward. It’s mental-looking with flourishes of Terry Gilliam and a marionette crossed with papercraft look. It’s hard to explain and better to just gawk at in motion. Using the titular sword, you’ll be taking out enemies that range from weird looking fetus with legs to screaming ghosts. The backgrounds change while you’re staying in the same level since it’s meant to look like a stage show. So while walking in one empty space will lead you from the outdoor city life to the underbelly sewers. You collect hearts in the game in order to buy upgrades. These can range from more shields or higher attack power. Others offer more to vitality like more energy or lives. But where Sine Mora fused the elements together very well, Black Knight ends up mixing a little bit too weirdly. Sometimes taking too much from its older cousin genres so much that it becomes frustrating. For starters, the difficulty ramps up after the first level. The introduction is a good way of showcasing what kind of action you’ll be getting into. But by the second level, you’ll be jumping from platform to platform with boats and one false move will result in a drop into the water and death. Even worse is when you buy upgrades. They come in handy in tough spots but since you also have lives, once you lose it, it’s gone forever. The only way to get it back is to either save and leave when you got the upgrade or spend more hearts in order to get items again. It’s not the most well-designed or nice way to keep your upgrades you earned by killing monsters. Ideally, you’d want it to save when you got the abilities but Black Knight Sword makes you work hard for it then isn’t afraid to take it away from you. I understand the classic nature of hack and slash games but this is too punishing. Especially when your only defensive move is a backwards hop. The floaty controls also don’t help sometimes. While not bad platforming by any means, they’re not as tight or pristine as Shadow Complex. This can make some of the intense and trickier sections worse with repeats and level restarts. It’s a bummer since this game looks so awesome through its art style but ultimately, comes up short around the end. For $10, it’s not the worst investment but I’d recommend checking it out when it’s on sale. Black Knight Sword has a lot of neat ideas but it embraces its older genre conventions a little too much. It gets in the way of a game that could have truly turned eyes with its atmosphere. Looks like they got a hit with Sine Mora but missed out with this one. I’d wait until the movie adaptation of this stage show. 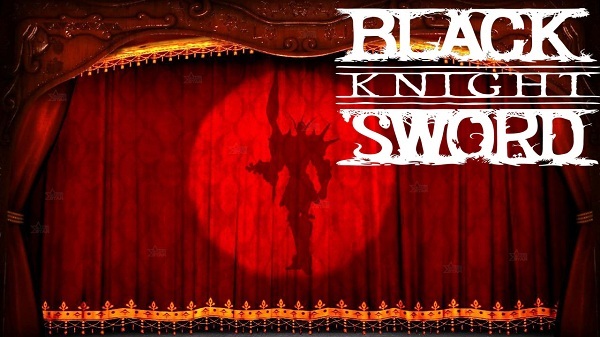 Black Knight Sword was developed by Grasshopper Manufacture and Digital Reality and published by D3. A copy was provided on the Xbox 360 for review purposes.